Sutros The The Palace at Land’s End is a really cool documentary. Documenting the legendary Sutro Bath House that was built outside of San Francisco the film is a trip into another world that seems almost completely alien. The story begins with Adolfo Sutro a German immigrant who made a small fortune building railroad tunnels, he then started to buy up plots of land outside of San Francisco. 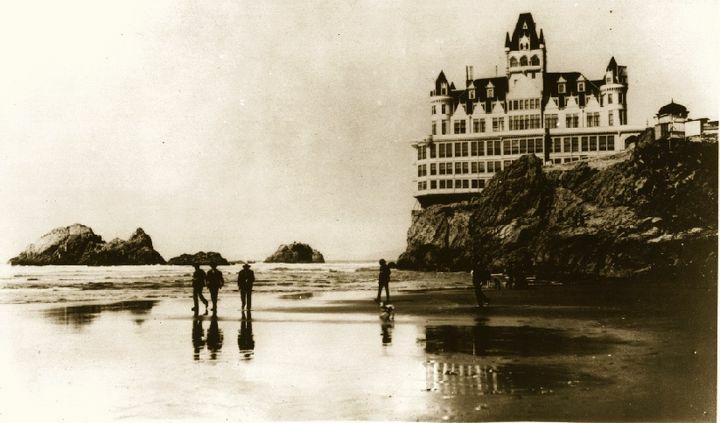 After building himself a huge manor house (Cliff House) he then started building what would be the Sutro baths, a huge enclosed bathing area that had museums, theaters and assorted other places attached to them. The film then traces the history of the area from the construction of a railway, a change in ownership the additions to the museums, the ice rink, the cable car, the fires, its use in movies and the eventual closure. It’s a weird and wild trip into another world with a completely different mind set. I’m amazed. I’m in awe. I can’t wait to see the film again simply because watching the film there is so much to look at and process It's much like the museums and the baths themselves, in that its hard to take it all in in one viewing. Cliff House and Sutro Heights is a look at the history of the legendary Cliff House restaurant from its beginnings in 1863 through to today with side trips looking at Playland by the Beach and the Sutro Baths which were nearby (the baths once being actually connected to the Cliff House by a series of buildings. A companion piece to two documentaries from the same filmmakers on the baths and Playland this film kind of plays as a short film on the Cliff House with addition material, almost a greatest hits reel of the earlier two films. While not a bad film, it only suffers if you’ve see the other two films first because you realize how much they are not covering. 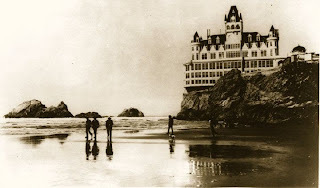 Ideally the film should have been just 45 minutes and focused on the Cliff House…on the other hand that would have meant that lots of great footage and photos not found in the other films wouldn’t have been seen. Definitely worth tracking down… now if only November Fire would put out a box set pf this film with the Playland (reviewed yesterday) and Baths films all would be right with the world.